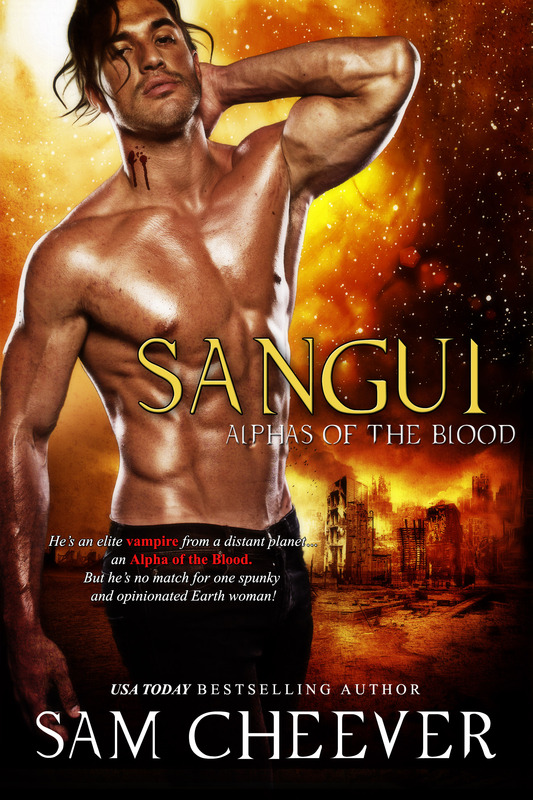 He’s an elite vampire from a distant planet…an Alpha of the Blood. But he’s no match for one spunky and opinionated Earth woman! The Alphas of the Blood are an elite, alien race of vampires. They escaped a devastated planet that was overrun with plague-infected beasts and came to Earth for a chance at a new life…a new beginning. The change is bitter-sweet for Zeenon Akba, who lost much of his family in the plague wars and fears his only brother might have carried the infection to Earth with him. But when Zee stumbles upon a pretty human female being stalked by an infected, he’s determined to help her, even if it means killing his own brother. Aware of their many differences and the necessity of finding a blood slave to be his mate, Zee doesn’t intend to lose his heart to pretty and spunky Brooke Carlin. So why can’t he get her out of his mind? He unbuttoned the blouse she wore, pulling it aside. Though he’d intended to remain clinical about the blood exchange, the first sight of the soft, milk chocolate mounds of her breasts bulging from a lacy white bra nearly made him forget what he was doing. His mouth watered at the sight. His fangs elongated. He closed his eyes and embraced his alpha, feeling its potency slide over him. The energy he embraced was hot and welcoming and urgent. Hungry. His skin swelled under the change. His core temperature rose. Lust, anger, fear…every emotion he’d brought into that place intensified, flowing over him like fur over a beast when it changed. His alpha was like a beast. It was beast-like in its level of need…in the simplicity of its purpose. If it hungered it ate. If it lusted it took, it tasted and ravished. The alpha was a sentient being with Zee’s humanoid form as its skin. But its mind was not human. Its mind was strength and power and ravenous hunger.